Since the first quarter just ended, Twitter’s PR team decided to tweet updates stats regarding the state of Twitter today. Of them, the biggest is that Twitter saw a 41 percent increase in tweets per day (and a 38 percent increase in the U.S.) for the quarter. But the biggest single number isn’t pertaining to Q1 at all, it’s live. 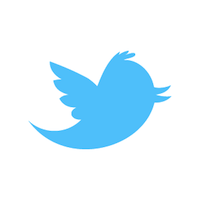 Twitter is now seeing 155 million tweets a day. That’s up from just 55 million a year ago, the company says. It’s also up from 140 million just a few weeks ago.